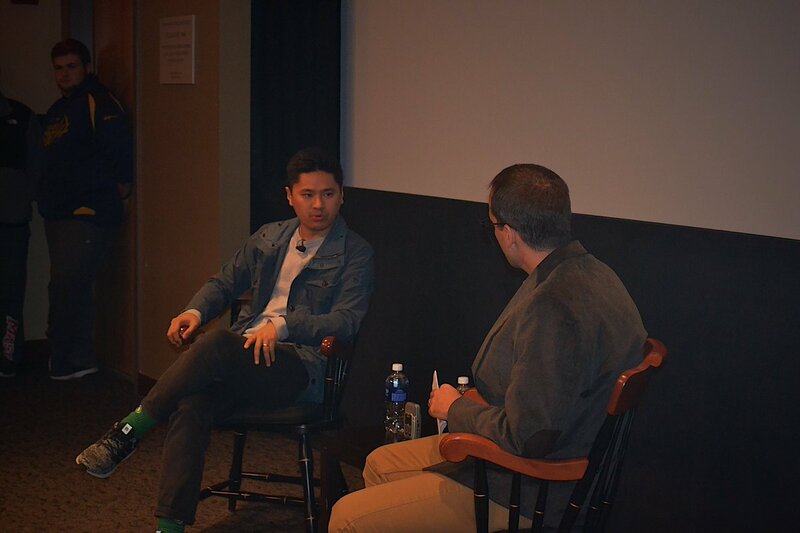 Poughkeepsie, NY – ESPN personality Pablo Torre made a pit stop to the Marist campus on November 9th and was met with a fully packed audience made up of college students. Torre was the first of many speakers to come to Marist this year as the annual Center for Sports Communication Speaker Series gets started. The interview was hosted by Leander Schaerlaeckens, the interim director of the Center of Sports Communication. The event took place in the Admissions Theatre and with all seats being taken – students started to sit on steps and stand against the wall. Pablo Torre is popular, especially among the younger audience – something ESPN is hoping for when they give Torre and Bomani Jones there own show in the spring. Torre, known for not sticking to sports and being outspoken about political issues is not going deviate from that anytime soon “The show will not stick to sports, but one of the things I am conscious of is knowing when it is appropriate to be serv vegetables to people and also how to make those vegetables real delicious, I’m gonna melt some cheese on the broccoli for you,” said Torre. Torre is also one of the very few Asian-Americans in the sports media, his parents from the Phillipines. He has seen this as an asset when reaching out and writing a story about another famous Asian-American in sports – Jeremy Lin. However, he still gets the racial backlash “A lot of (the feedback I get on Twitter) it is ‘Why is the Chinese guy with a mexican name lecturing me about sports?’” said Torre. The Harvard graduate was actually a sociology major in college and his parents were both doctors in New York City. He too, was expected to become a doctor, the backup plan being going to law school to become a lawyer. He decided against that and went to Sports Illustrated after college. However, he wrote a 114-page thesis on ‘Sympathy for the Devil, Child Homicide, Victim Characteristics and the Sentences Preference of the American Conscious’ that basically describe the inner-working of America’s prison system. Pablo Torre undoubtedly is a smart person who ended up becoming a sportswriter even though the normal sportswriter does not even have close to the intellect that Torre possesses. But the 32-year old has been able to cement himself as the future of sports writing – the 21st century sportswriter.